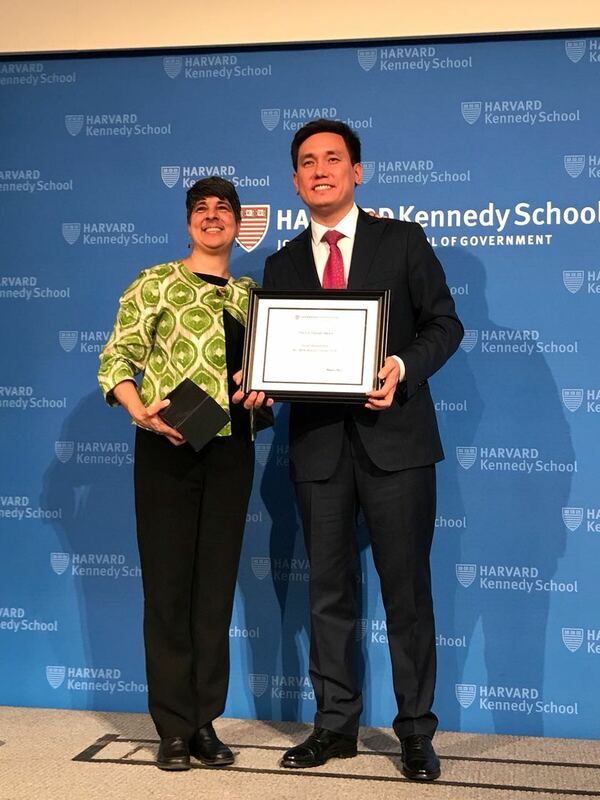 Asset Abdualiyev (MC/MPA 2018), the first recipient of the Nurlan Kapparov Fellowship to HKS, was awarded the Eric Yankah Award for his distinguished contribution to the Edward S. Mason Program and Harvard Kennedy School. Asset was selected for the award among a distinguished group of students by student vote and by the school administration. Asset Abdualiyev has also been selected as one of the winners for the Dean's Award for Excellence in student teaching in recognition of his extraordinary commitment to students and faculty in his role as a Course Assistant. Asset’s accessibility, energy and talent for making difficult subject matter transparent and for helping student learn contributed markedly to the Harvard Kennedy School community and was highlighted by Dean Elmendorf during the Class Day Awards Ceremony on May 22, 2018.